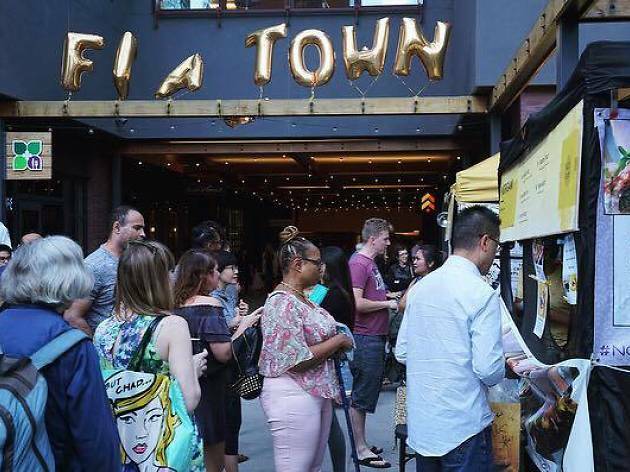 The night market concept goes dayside with Feastown, one of the city's newer pop-up food events featuring a range of meals and products. Vendors rotate every month at this first-and-third Saturday market that's been slinging everything from Yeastie Boys' bagel creations to Helado Pops' organic ice cream served in a freshly cracked coconut. No matter the lineup, expect live music or a DJ set, plus roughly 10 vendors for an afternoon of perusing and noshing in the heart of Hollywood. 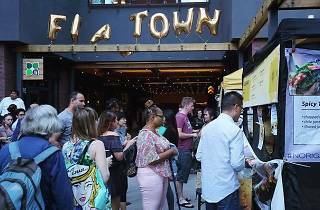 Feastown in Eastown is a fun way to try different pop-ups with a variety of choices. Heard this weekend will be another outstanding event. Wouldn't miss it. Yum!!!!!!! !